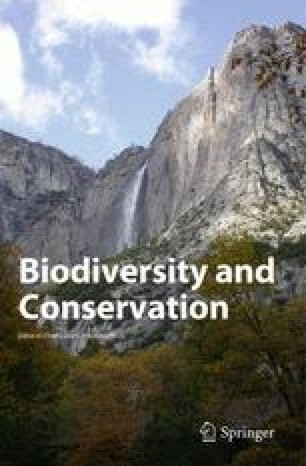 Biodiversity conservation requires prioritization of areas for in situ conservation. In that perspective, the present study documents the global diversity of a component of the soil macrofauna, the land planarians, and concerns an exploratory analysis of their possible role as indicators of biodiversity. Diversity is described by three quantitative methods: (1) hotspots of species richness, selecting areas richest in species, (2) hotspots of range-size rarity, identifying areas richest in narrowly endemic species, and (3) complementarity, prioritizing areas according to their greatest combined species richness. The biodiversity measures of species richness and range-size rarity show a great correspondence in the identification of hotspots of diversity; both measures identify the following seven areas as the most biodiverse for land planarians: Sao Paulo, Florianopolis, western Java, Tasmania, Sri Lanka, North Island/New Zealand, and Sydney. It is discussed to what extent the results for the land planarians correspond with those obtained in other studies that assessed biodiversity hotspots for taxa on a global scale. It is noteworthy that land planarians identify a few global hotspots of diversity that generally do not feature, or only have low rankings, in other studies: New Zealand, southeastern Australia, and Tasmania.